Lender's tired of leaving a message to get the status of an appraisal? What if you could find out within a few seconds if it's ready or not? What if you could order an appraisal without having to wait on someone to return a call and say whether they can do an appraisal? Seward Enterprises, Inc. dba "Seward Real Estate Service" is a group of independent licensed Indiana real estate appraisers preforming residential appraisals for local Indianapolis, Indiana lender's. 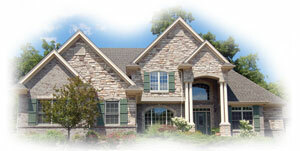 We also provide appraisals for the needs of local Indianapolis, Indiana consumer for PMI removal. Our website is designed to fill the needs of lender's that covers Multi-State's with the most complete database of appraisers outside our coverage area. We service the Indianapolis, Carmel and Noblesville, Indiana market area's with a qualified residential appaiser. Our objective is to provide a quality appraisal services to clients in a timely manner. You or your clients will be contacted by an appraiser within 24 hours of receipt of appraisal request and the report will be delivered to your company within three business days after the appraiser inspection depending on report type. All reports are written in accordance with the Uniform Standards of Professional Appraisal Practice (USPAP) by licensed indiana real estate appraisers. Our investment in training and technology has helped our customers greatly reduce their workload. By offering online appraisal ordering, coupled with automatic report st atus updates and electronic delivery of the final product, we trying to eliminate the run around time and phone tag hassels associated with this process. We provide electronic delivery of appraisal reports in both Electronic Data Interchange (EDI) and Portable Document Format (PDF). For the consumer an appraisal can provide services for estate settlement, divorce, and Private Mortgage Insurance (PMI) removal click here for more details..